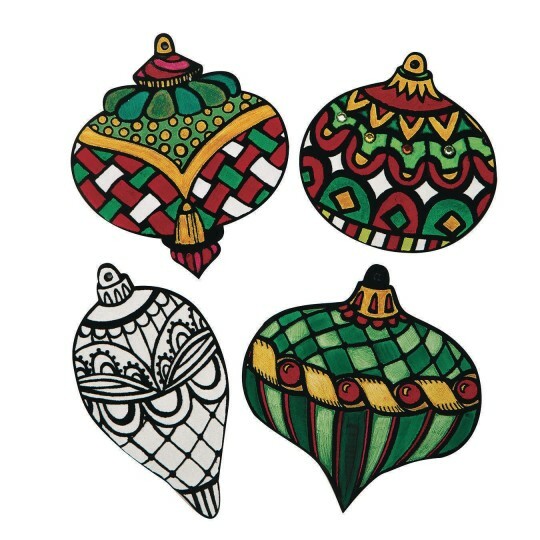 Ready-to-decorate holiday ornaments can be colored and embellished to match any theme. Use markers, crayons, or colored pencils and add gems or glitter for extra sparkle! 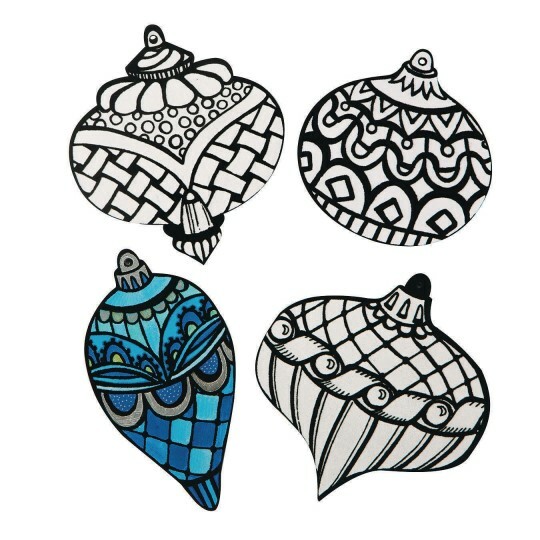 Each die-cut ornament is approx. 4”-5” (at the largest dimension) and is printed on both sides. Great for hanging on a tree or in a window - even tied to a gift using the pre-punched hanging hole. Pack includes 24 pieces (6 each of 4 styles).